"It was a talking point all evening." My guests could not believe the sculpture, it was a talking point all evening. 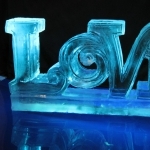 The UK's best Ice Sculpture manufacturer and supplier. 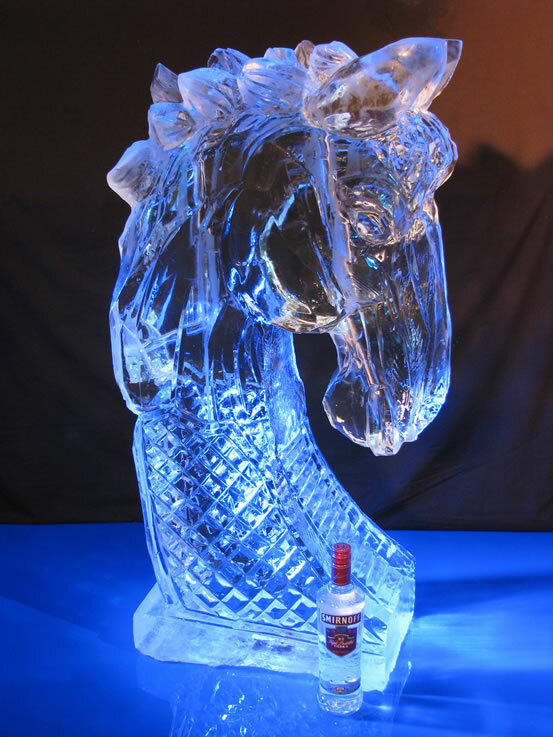 Bespoke hand carved ice sculptures, ice bars, luges, logos and more! All sculptures can be delivered across England. Ice Sculptures and Ice Bars. 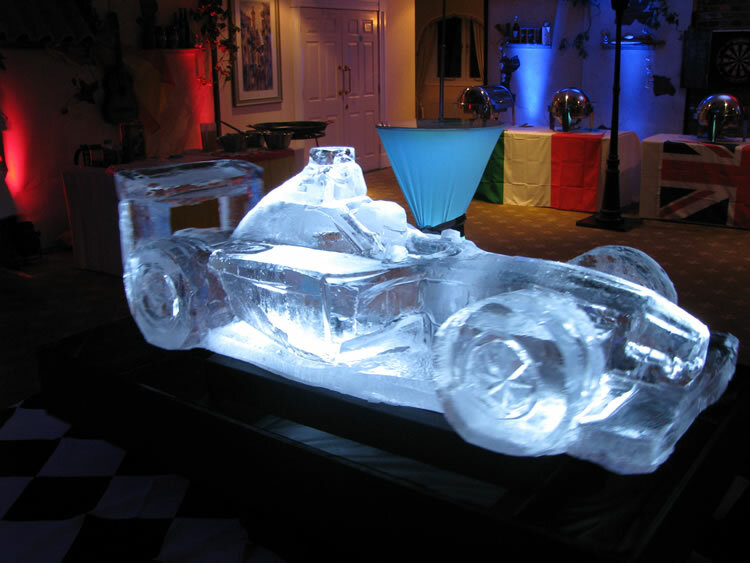 *The UK's best Ice Sculpture manufacturer and supplier. *Highly respected in the Ice Industry. 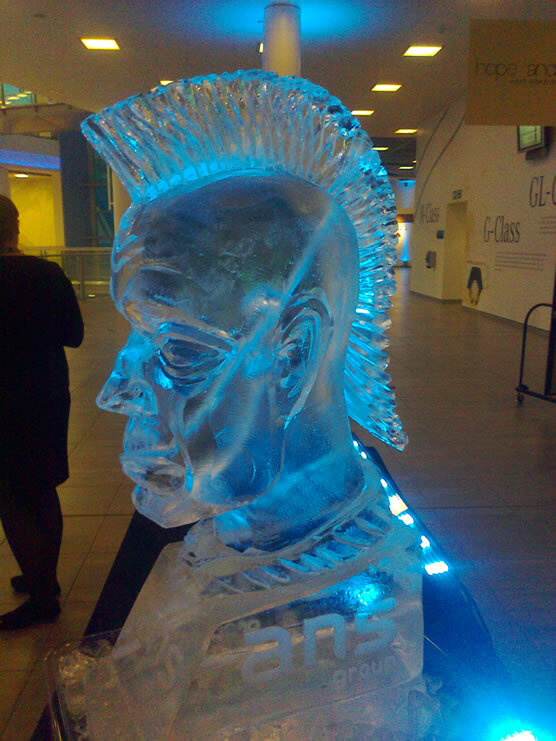 *Bespoke hand carved ice sculptures, ice bars, luges, logos and more! *All sculptures can be delivered across England. 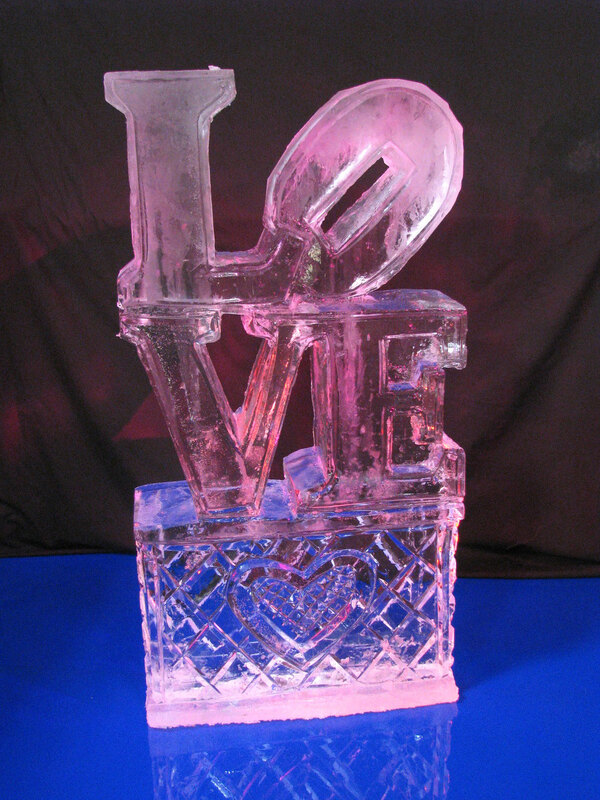 Our ice manufacturer and supplier can provide beautifully designed, hand carved ice sculptures for every occasion. 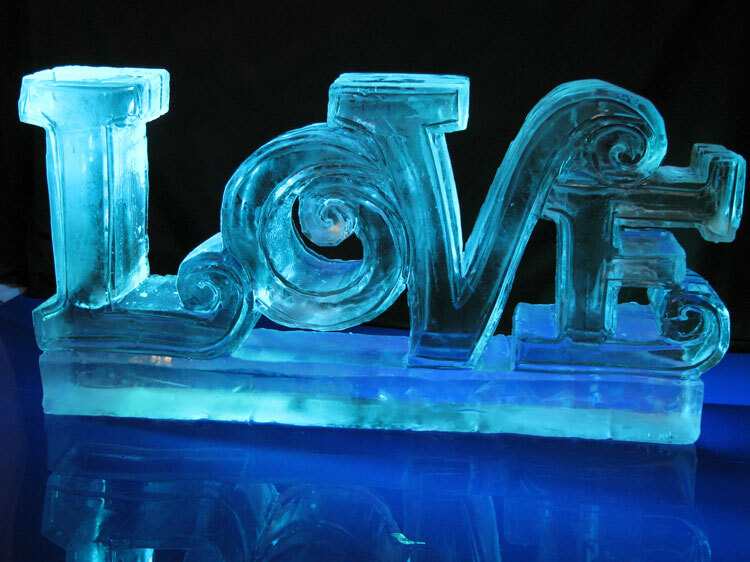 Whether you are getting married and want a unique wedding ice sculpture or are holding a corporate event and need a novel way to advertise your company logo... from birthdays to weddings, corporate events and more, an amazing, high quality ice sculpture could be for you!  All sculptures are carved by hand and our manufacturer does not use moulds or high tech computer carving machines, they put the love and the fun into what they do so that you can enjoy the results! All sculptures can be delivered to events taking place across England. 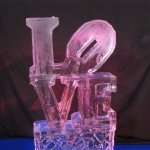 Your sculpture will be delivered and set up at your venue one hour before the start of your event. Placed on a drain tray with rock ice around the base for decoration, a battery operated LED back light to light up your sculpture will also be included. Once set up by our team, your sculpture will either be left wrapped in its insulated wrapping, ready to be revealed to your guests or unwrapped and ready for display. Our high quality blocks are made using specially filtrated water constantly flowing to produce exceedingly clear ice conforming to Health and Safety Food Standards. This makes all sculptures safe enough to eat and therefore they can be safely used to make ice luges. 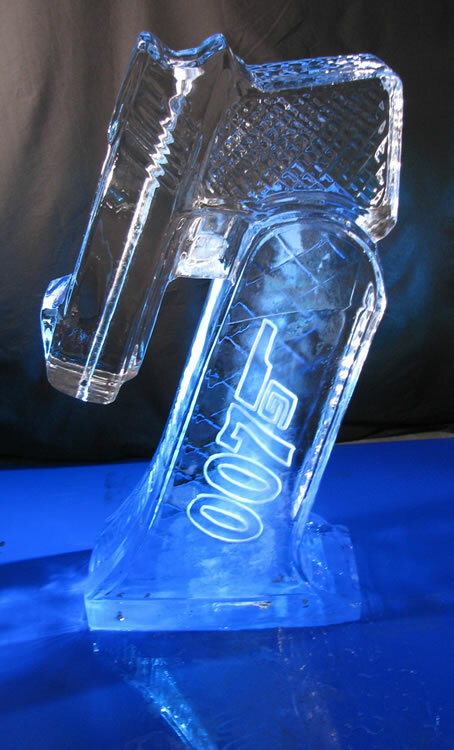 Ideal for any James Bond themed event, this 007 James Bond gun luge is fantastic fun, pour the shots in the top and watch at the vodka shoots down the barrel of the gun! Having a BIG birthday party? Why not have a vodka luge? 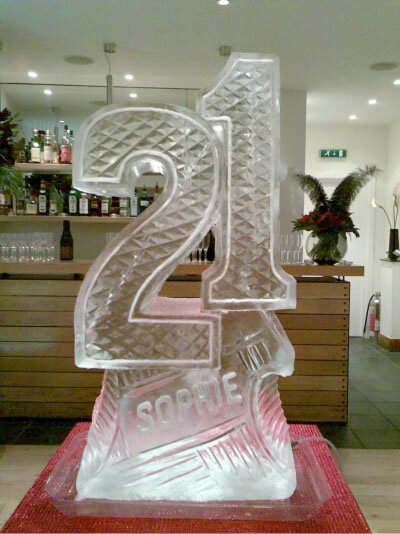 A 21 shaped vodka luge is the most popular design, but we can make any number for you, 30, 50, 80 even 100! Any design can be personalised with a name or short message. No matter what the celebration is, a bottle of bubbly always goes down a treat so why not have an ice sculpture that you can pour real champagne, vodka, tequila or any other drink through. Our champagne bottle luge can be personalised with any short message or even have your own “label” engraved on to it! Our stunning designer shoe luge is perfect for the lady in your life, the sparkle and glamour of this luge is appreciated by ladies everywhere. It is ideal for hen nights, weddings and birthday parties alike, the elegant high shoe has a vodka luge running from the top of the shoe to the toe. 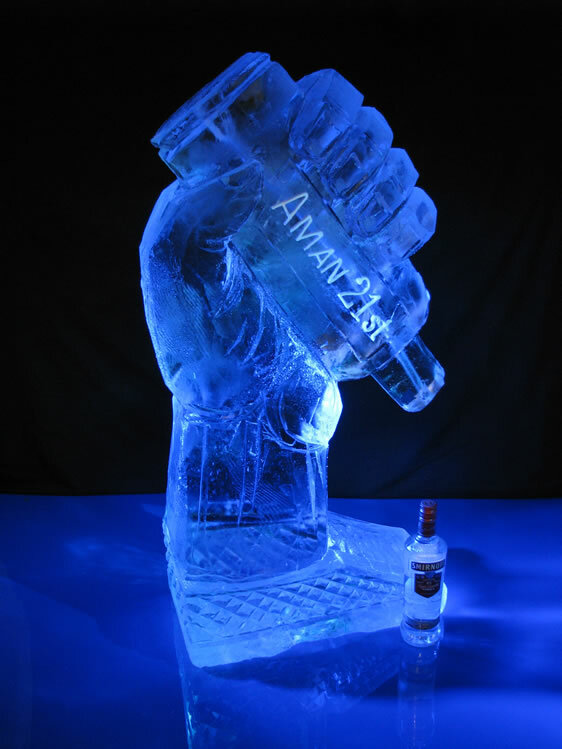 Perfect for any party, our hand and bottle luge can be personalised with any name or message for your event. Watch as the vodka runs through the bottle and shoots out of the end, ideal to get your party rolling! Every Grand Prix night should have an F1 racing car luge. Looking exactly like the real thing, for the ultimate thrill, the vodka shots literally race through the car and out of the front! No Hollywood themed event is complete without an Oscar Statue in ice. 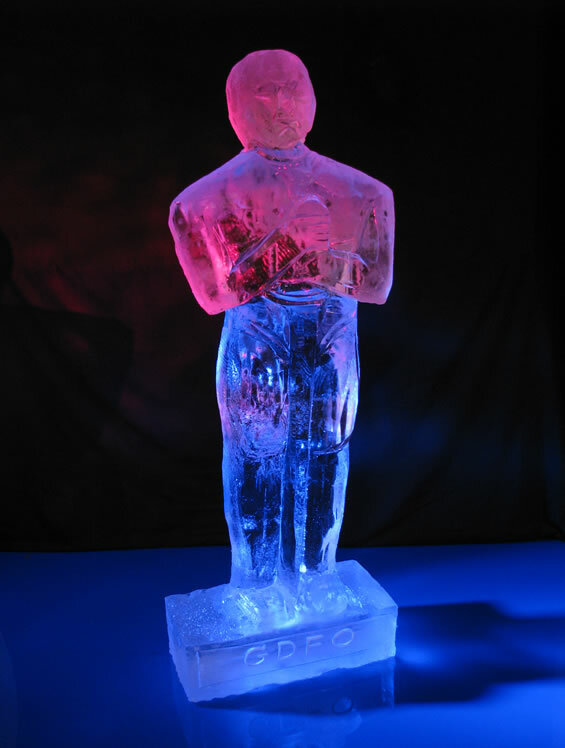 A crystal clear replica of the Oscar statue adds the finishing touch to your event, and for added fun a vodka luge can be put through him! 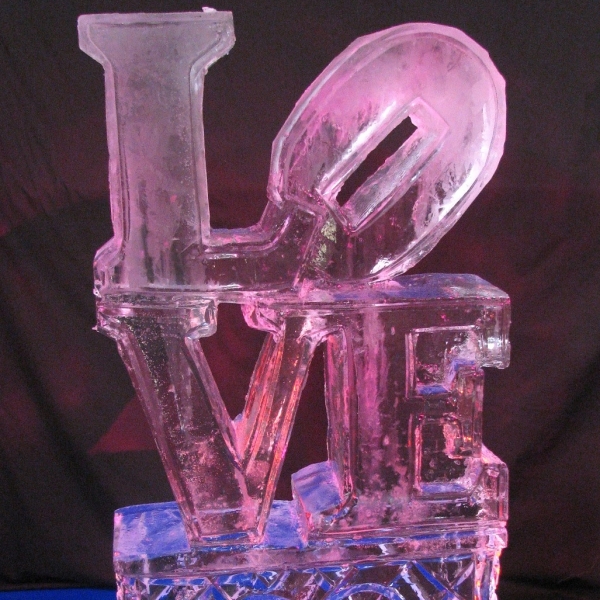 If you’re having a celebration of everything from the 80’s, our punk rocker ice luge is the one for you. A rugged face and outrageous Mohican hair style makes him the perfect 80s icon. Your guests will be amazed at him as the memories flood back to them! 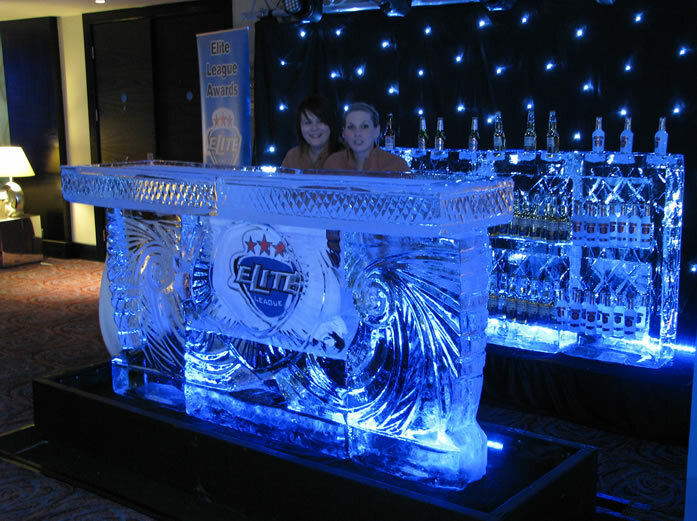 If you’re looking for the ULTIMATE wow for your event, have an ice bar! Your bar will have shelves in the back for storage of bottles, a clear perspex top to make sure the glasses don’t slide about and it can be designed to your specification incorporating any logo or message! Once set up by us in a self contained drain tray and lit from behind, the effect is pure opulence. Please note: Standard advertised prices are for Ice Sculptures/Luges measuring 100cm x 50cm only and include delivery and setup to anywhere in England. For all other enquiries please see booking options or call your Alive Network booking coordinator for more details.